A real photo postcard in the style of Hoffman showing Majestic’s altar. Like Olympic, it seems the altar was setup in second class on Majestic. 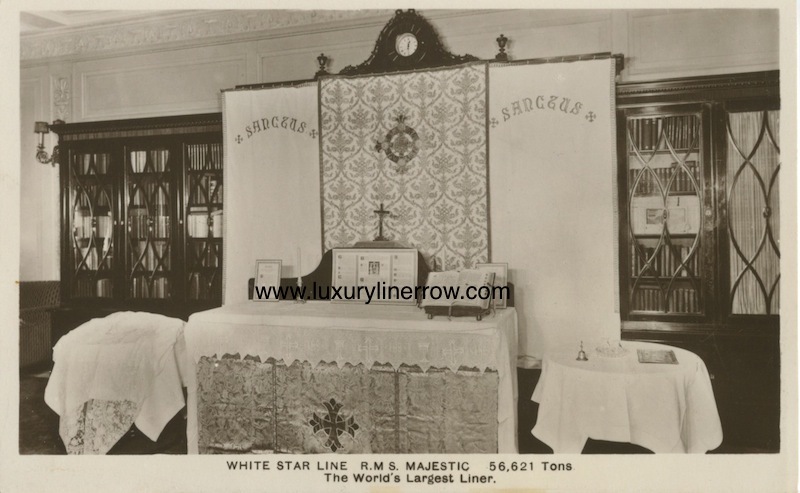 Interestingly, many of Majestic’s religious artifacts ended up on the Queen Mary and thus were sold into private collections when the Mary arrived in Long Beach. 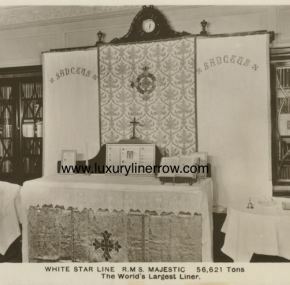 Cunard White Star was very frugal and saved as much as they could from the ships that were retired in the 1930’s. Unused and in excellent condition.